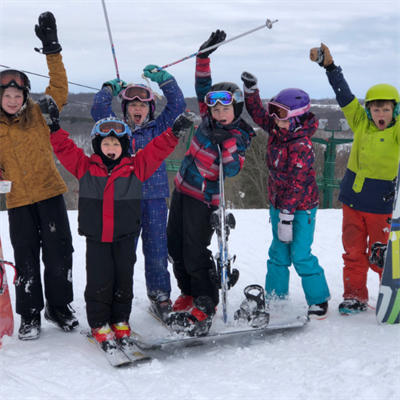 If you are serious about learning to ski or snowboard, Wild Mountain is serious about helping you. 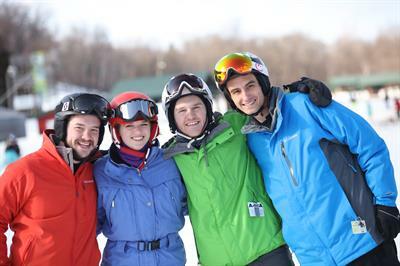 FREE first-time beginner ski or snowboard lessons. The first lesson begins at 11 am and a new lesson will begin every hour on the hour. The last lesson will begin at 3 pm. 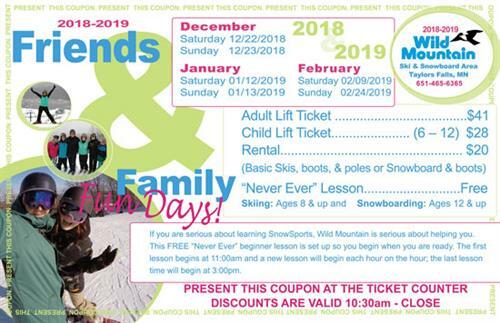 Must show the coupon to receive discounts.